A young member of the extremely active Antifa community in Portland has been bullied to the point where she claims to have become suicidal — simply for attempting to work with police to keep both protesters and law enforcement safe. 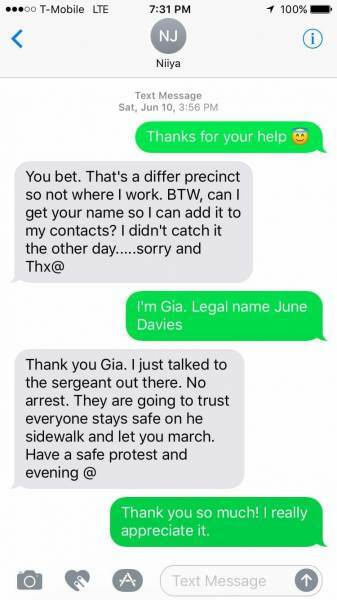 A 20-year-old activist named June Davies, who goes by the nicknames “Tan” and “Gia” is claiming that she has been receiving threats and warnings to leave the city after texting with a police officer about march routes and other information that could help to keep both sides safe. Davies’ first protest was two days after Trump’s election, but she immediately felt drawn in with the black clad rioters of the Antifa movement. Soon, she began volunteering as a medic to treat injured protesters. What was the exchange that would lead to a journalist referring to her as an informant? According to Oregon Live, it was a text message asking if a friend had been arrested at a protest the previous week. Sgt. Niiya confirmed that they were not. Both the police and Davies deny that she was working as an informant, despite being in contact. Her goal, she says, was simply to share information in hopes that police would be aware of what was going on so that people would be less likely to get hurt and medics wouldn’t be arrested in the scuffles. In the hundreds of text messages published by Oregon Live, Davies seemed to be attempting to debunk disinfo from both sides to create peace. “If somebody from the community talking to us at an event is characterized as an informant, then anybody who talks to the police would be labeled an informant,” Portland Lt. Ryan Lee told Oregon Live. On May Day, a day of global protests and riots held annually on May 1, Portland was plagued by arson, riots, looting and violence. “There’s no peace between police and protesters. I don’t think there’s ever going to be a peace. But I was trying to make it just a little bit easier so that the police would ease up on their tactics and then also see Antifa ease up on their tactics as well,” she said. Soon, in addition to the threats against Davies, members of the Antifa community began to claim that Sgt. 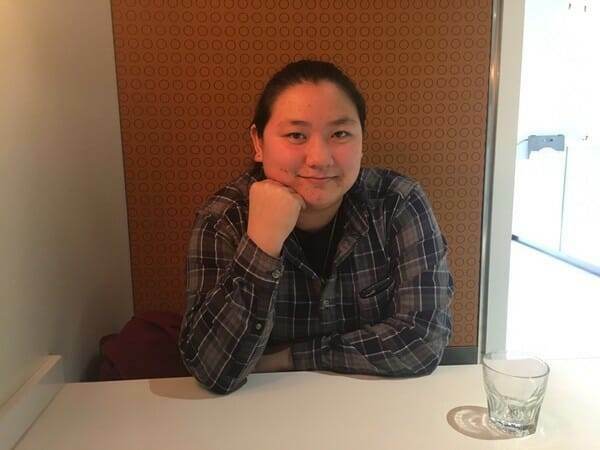 Niiya took advantage of her by flirting and exploiting her mental health issues — a claim which does not sit well with the former anarchist medic. The lack of a victim mindset, despite struggling with depression as well as homelessness for part of the year, makes it clear that she would never have fit in with Antifa — but unfortunately she still plans to find a place within the far-left where she can be accepted. “If I ever do activism again, maybe I’ll go to Berkeley. I have been thinking about trying to go down there and see what the activism is like there, because that’s where all the activism started pretty much. Or even Seattle—and Seattle is not that far away from here,” Davies said.